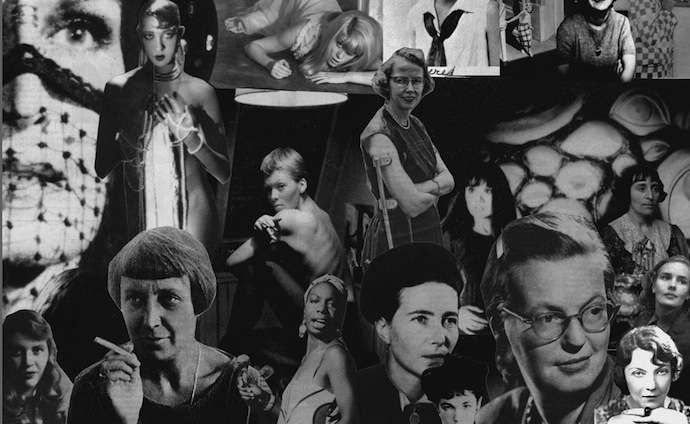 The cover of Heroines suggests collage, and the book is just that – intensely referential, appropriating ideas, language, and history from a variety of sources. It is also a séance, a ouija board, a medium; an old film projector flooding images of modernist literary history on top of the author’s own flickering figure. Open it, and consult with ghosts: Zelda Fitzgerald dancing furiously through its pages while Vivien(ne) Eliot searches frantically for her elusive husband; Jean Rhys pacing her floors with June Miller chattering away in the background. These women of modernism are Zambreno’s heroines, and they have been, she persuasively argues, criminally reduced by the historical and literary record to muses, madwomen, and wives, not as artists and subjects in their own right. Semiotext(e) is known for publishing mongrel books that, in hybridizing the personal and the theoretical, reject the boundaries between the two, and Heroines extends this tradition. Simultaneously a project of mourning and a project of recovery, a defense of autobiography and an experiment in biography, a performance of feminist literary criticism and a seething anti-psychiatry screed, Zambreno’s third book is singular—and it is not, contrary to my own expectations, so very much like the blog, Frances Farmer Is My Sister, that so splendidly midwived it. Though it displays the same intimacy and expansiveness that define Zambreno’s blog, Heroines is its own thing, a focused exploration of this linkage between modernist and contemporary literary culture, written through the figure of the wife. By “through,” I mean that Zambreno does not simply identify with what she calls the “mad wives” of modernism; she becomes them, reading her own life and wifehood through theirs and rereading theirs through hers. “I begin to cannibalize these women,” she writes, “literally incorporating them, their traumas, an uncanny feeling of repeating, of reliving.” Building momentum through fragmentation, she frequently blurs the boundaries between their subjectivity and her own: her contemporary Akron becomes Vivien(ne)’s London, her relationship with her husband John becomes Vivien(ne)’s with Tom’s (T.S. Eliot). (Vivienne Eliot often preferred to drop the last two letters of her name.) In this way, Zambreno forges a temporal link, a wormhole through which she both redresses the crimes inflicted upon her “mad wives” by history, psychiatry, and their husbands—and also insists that such crimes are not, in fact, history, but woefully, pervasively present. Her primary aim is to expose the ways in which the literary and psychiatric communities have colluded in pathologizing these women, and disregarding, if not outright suppressing, their writing—even as their emotional excesses were “transformed” into highly regarded art by their male partners. Perhaps the most egregious case in point involves F. Scott and Zelda Fitzgerald. Scott drew heavily from Zelda’s experiences with psychiatry in Tender Is the Night, Zambreno explains, while Zelda herself was explicitly forbade to write about them. When he learned Zelda had begun a novel about her asylum experiences, Scott instigated a kind of intervention in the presence of a doctor and stenographer (from whose transcription Zambreno draws her knowledge), during which he declared: “I am the professional novelist, and I am supporting you. That is all my material. None of it is your material.” In the end it was decided that Zelda could not write about psychiatry until Scott finished his novel. The encounter, Zambreno says, “is brutal to read, the complete demolishing of a woman writer” —Zelda’s own subjectivity and experience not hers to aestheticize. This pattern of men vampirizing their partners’ subjectivities is a central concern of the book: T.S. Eliot writing Vivien(ne)’s hysterical chatter in The Waste Land and subsequently abandoning her; Paul Bowles fictionalizing his marriage with Jane in The Sheltering Sky, a depiction that left her unable to write for years. “Is making someone a character giving them life, or taking it away?” Zambreno asks. Representational vampirism is the stuff that literature is (often) made of, of course; the problem, she makes clear, is that the men in question were championed for aestheticizing their partners’ “madness” while the women themselves were pathologized, institutionalized, and/or forgotten precisely because of it. It is at times difficult to sympathize with Zambreno’s experience of an oppressive hetero marriage given the book’s absence of any recognition of the social and economic privileges afforded by the institutions of heterosexuality and marriage. The omission of any recognition of white privilege, especially in her discussions of literary canonicity and who is and is not read, is also disappointing. That said, while some recognition of privilege would have been welcome, Zambreno’s investment in her oppression, as a wife and as a woman writer, whether sympathetic or not, is the book’s greatest strength, and the reason why it will become an enduring text. Except when she celebrates the mainly-women literary blogging community that she helped build, Zambreno’s writing is characterized by cynicism and open hostility. Heroines is a performance of radical negativity, in other words: deploying an indulgent bitterness and a seething resentment, Zambreno refuses to be satisfied with what women writers have been allotted, and she is adamantly, fiercely entitled to more. Heroines is available for purchase from The MIT Press or Amazon.